RStudio addins provide a graphical interface for performing common tasks. After installing the SpaDES.addins package, go to the Addins menu in the RStudio IDE to see the list of available addins provided by this package. You can assign keyboard shortcuts to any of these addins if you wish. See https://rstudio.github.io/rstudioaddins/#running-addins. The default module directory is a temporary one, and can be changed using SpaDES.core::setPaths(). See ?SpaDES.core::setPaths for details. 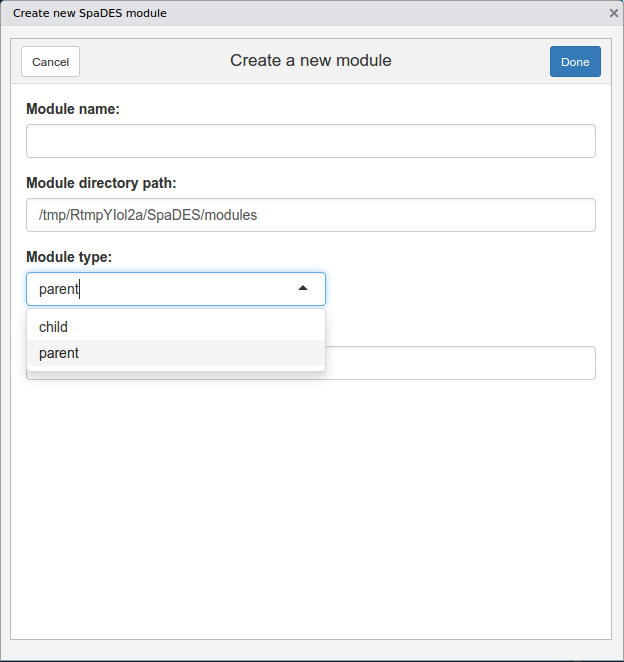 We recommend using a single local directory for your SpaDES modules. Thus, only a single module directory is specified when using these addins. The simplest way to get started on developing a SpaDES module, is to start from an existing module. Anytime you wish to modify an existing module, we suggest working from a copy, rather than modifying the existing module directly. 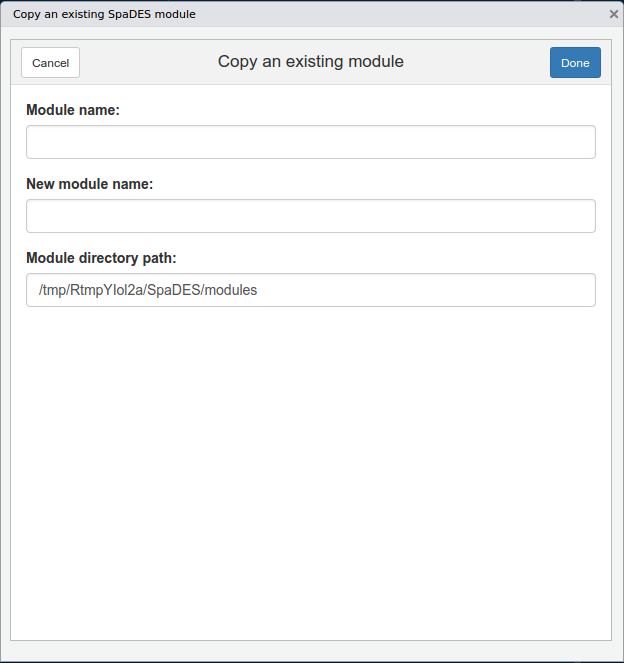 To copy an existing module, simply invoke the SpaDES: copy module addin from the RStudio Addins menu. More advanced users planning on contributing code to the SpaDES ecosystem of packages, can make use of additional package development tools.